Forums / The City / Sonic Bar / Sonic Unleashed:Storyline? When there is an evil justice can not defeat, what would you do? Would you taint your hands with evil to defeat evil? Or would you carry out your own justice and succumb to that evil? The existence of the game was first revealed when he presented the Sega brand Unleashed, and soon, pictures and a video of the game have been revealed to the public in March 2008. I'm glad you decided to use classic character Sonic in Super Smash Bros. I really think this is probably the best Sonic game has created a new line with decent history. 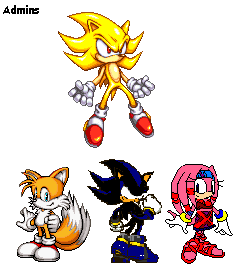 Sonic and his Werehog self will be the only playable characters. Wow nice post. actually I dont play the first game as here posted but I play Sonic Unleashed its very nice and enjoyable I really like to plat it. I personally liked Sonic Adventure. It wasn't a traditional sonic game but the levels were pretty fun and it had a bunch of pretty cool mini games. It was one of the last video games to make the lobby part of the adventure process .